The Google doodle for today, May 23 is a tribute to Robert Moog, inventor of the Moog synthesizer. The American pioneer of electronic music, who died in 2005 would have celebrated his 78th anniversary in 2012. Doodle this one is particularly sophisticated: more than just an image map, this is a real mini-application that takes the features of a synthesizer, which can make music and add effects , you can record your compositions and share them on Google+. Robert Arthur “Bob” Moog borned on May 23, 1934, is the founder of Moog Music, was an American pioneer of electronic music, best known as the inventor of the Moog synthesizer. Bob Moog’s innovative electronic design is employed in numerous synthesizers including the Minimoog Model D, Minimoog Voyager, Little Phatty, Moog Taurus Bass Pedals, Moog Minitaur, the Animoog iOS app, and the Moogerfooger line of effects pedals. He was an American electronics engineer. After studying electrical engineering in 1964 one of his clients, Herbert A. Deutsch, a professor of music theory and composer, he orders a model to mount kit. It makes it more compact (so far models could occupy an entire room), and adds the voltage control of the oscillator, filter and amplification. The sound was played more linear but progressive. 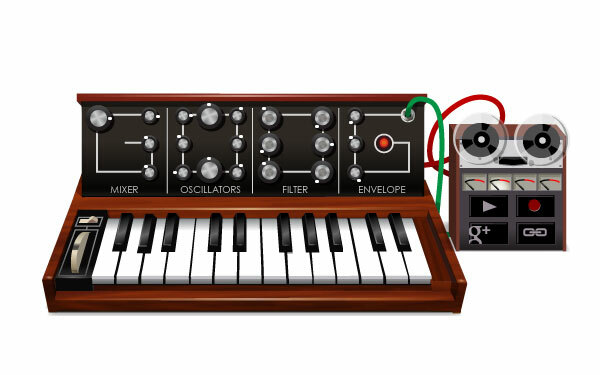 As well as for his birthday and every day, Google has changed its doodle and therefore can have fun with a little Moog and create simplified electronic music! So you had always dreamed of becoming a composer of electronic music or you would like just to try? Then go to Google until tomorrow.